In Jagoda Szelc' new film, she provides menace and rewards patience. During her intro at the International Film Festival Rotterdam, Polish director Jagoda Szelc stated that in her new feature film Monument, she doesn't try to tell a story. She asked the audience to watch the film with the idea that it's a ritual they'll be watching, rather than a narrative. To me, those seemed like words of warning indeed. 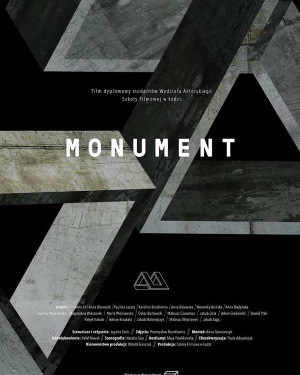 I'm not generally that big a fan of experimental cinema, and coupled with the fact that Monument is a low-budget project by the Lodz film academy, with most of the actors graduate students, I wondered what level of radical incomprehensibility I was in for. I needn't have worried though: those who saw the very eerie trailer which is currently out, will have a pretty good idea of what to expect. And while the film is slow and lengthy, I did not find it baffling or boring. The film starts with a group of students in a bus, on their way to an intern-ship at a resort. They do not know each other and the drive is a long one, taking all night, but when they arrive in the early morning, one of them is inexplicably gone. Not that they get a lot of time to ponder his disappearance, as immediately they are grouped and given tasks to perform: cleaning dishes, washing clothes, serving food, taking out immense amount of trash, and preparing some sort of weird concrete pedestal in the woods outside. Under the constant pressure of the harsh and stern management, the students change. Some want to excel, some rat each other out, others bond... and as time goes on, more and more creepy details emerge. 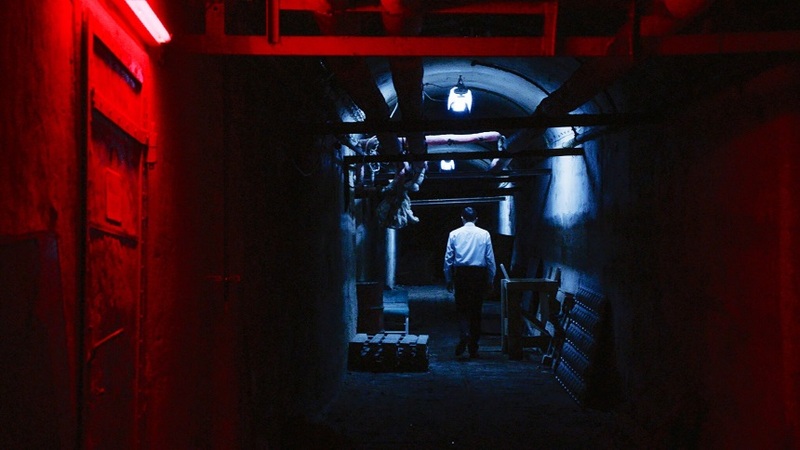 Some of the chores get pretty gross, customer care secretly turns to abuse, the ingredients for the food get weird, and the resort's catacombs turn out to be a gloomy labyrinth. Monument is not a film of revelations and twists. An observant viewer may quickly have an idea what's going on here. But this film is very much about the journey, not the destination, and as you get to see each of the students' reactions to what happens, you do feel as if you get to know them better. Which is the point, I guess. Graduate students or not, each of the actors gets to act to his or her strength, and there are no bad notes among the performances. Not a conventional horror or thriller, Monument uses and mixes genres to show the dynamics in this group of people. Not everything is explained, or spelled out, while Jagoda Szelc makes sure the sounds and colors all provide plenty of menace and dread. She also demands patience, but hey: so do Tarkovsky and Lynch sometimes. Audiences in Rotterdam were divided, awarding the film a 3.3 out of 5. Me, I really liked Monument a lot.